VetFolio has a variety of veterinary related educational resources. Please note some sections of the site are not "free' and require a subscription that carries a fee. The links below will take you to the "free" content available for educational use. Gateway is only the second college in the 16-college Wisconsin Technical College system to host a vet tech program. Gateway has both a Veterinary Assistant technical diploma and a Veterinary Technician associate degree program. Students learn in a professional setting in a self-contained building, which features collaborative learning spaces and simulates a working veterinary facility for optimum learning. The treatment area, exam room, diagnostic imaging area and surgical suite contain equipment that veterinary assistants and technicians will use in the field. Upon completion of the one-year technical diploma, students may continue their education in the Veterinary Technician associate degree program. Using the mysteries of autism to decode animal behavior. Learn how to give our animals the best and happiest lives on their terms, not ours. How the New Science of Dog Behavior Can Make You a Better Friend to Your Pet. 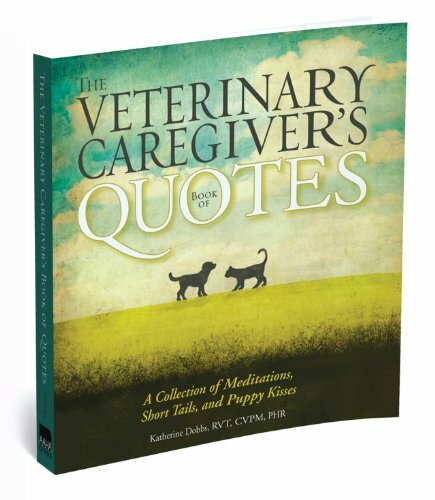 A collection of meditations, short tails, and puppy kisses. Provides a quick reference to all aspects of a technician's daily responsibilities in clinical practice of canine and felines. An indespensable resource in daily clinical practice. Covering all aspects of a veterinary technician's responsibility in the care of large animals. Discover the most popular veterinary industry resources available in Today’s Veterinary Practice and Today’s Veterinary Technician.